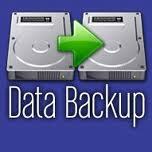 Data Backup - Be-Com Computers 5774 Bradbury Road Nanaimo B.C. It’s more than a Computer, it’s your business and your life, every photo, every document, every song, every memory. If you really think about it the most important information in your life lives on your computer. Whether it’s business documents, family photos, music or accounting, everything, nowadays is ” digital”. At Be-Com Computers we guarantee that your digital life will always be safe with you and your business.